The world’s best Traffic Signal Lamp is made in America and undergo the most rigorous testing of any traffic signal bulbs on the market. They’re life-rated up to 16,000 user hours to save on maintenance and replacements. They meet or exceed all I.T.E. Specifications and are covered by a Two-Year Free-Replacement Warranty. The world's best Traffic Signal Lamp is made in America. 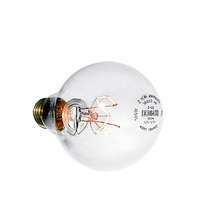 And it's available only from H&H Industries,a nearly 50 year old Illinois-based lighting company. H&H supplies more U.S.A. made traffic signal bulbs to municipalities and other traffic lamp users than any other specialty lighting company in America. 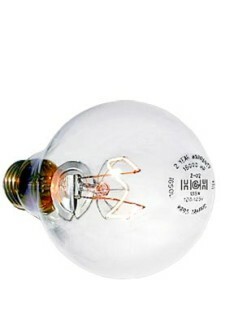 H&H is also recognized as an international supplier of Traffic Signal Lamps. Task-Master™ Traffic Signal Lamps undergo the most rigorous testing of any traffic signal bulbs on the market. They're life-rated up to 16,000 user hours to save on maintenance and replacements. They meet or exceed all I.T.E. Specifications and are covered by a Two Year Free Replacement Warranty. Compare the features of the Task-Master™ lamp with those of the traffic lamp you are now using. Only the finest quality "soda lime" glass is used in Task-Master traffic lamps. Unlike the "cloudy" glass used in some foreign imports, soda lime glass offers maximum clarity and a high degree of thickness control. 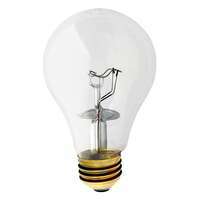 Unlike the conventional Argon gas Krypton gas allows the filament to burn hotter and longer resulting in a higher light output and longer lamp life. H&H Uses only the toughest, most resilient, longest-lasting filaments in the traffic signal lamps. 99% of our lamps easily withstood a force exceeding 7G, surpassing any punishment the lamps would experience in normal traffic signal applications. WIth a specially grooved glass bulb and heat-resistant basing glue, which withstand temperatures in excess of 200º C, the Task-Master traffic lamps have a permanent bond between the bulb and base which exceed A.N.S.I. torque test standard. Supported at seven different points, the C-11V projection filament creates an optimum beam pattern, directing more light into motorists' eyes and eliminating the center deadspot. We use a non-corroding brass base because, unlike an aluminum base, a brass won't "freeze" or weld itself to the socket. A built-in highly polished six-mil aluminum reflector disk reflects light back towards the signal lens, adding to usable light. It also protects the base, socket and wiring from destructive bulb heat. Protects against damage to sockets and controls in the event of an electrical "arc-out. ".